Zenergy Health and Beauty Clinic on Fade Steeet, Dublin 2 recently invited me in to try out their famous Megawhite teeth whitening treatment. I've been through the wars with my teeth over the years but I've never had them whitened, believe it or not! I don't smoke and I've cut down on drinking tea (and dark fizzy drinks) a huge amount over the last few months so my teeth weren't crazily stained to begin with. However, they definitely were nowhere near white - I have countless friends who get their teeth whitened regularly and I was curious to give it a go! Megawhite is currently on offer for a discounted price of €89 in Zenergy; really affordable for the treatment as I've heard some can go up to €300 per session. There's no peroxide in the Megawhite formula, it takes up to 15-30 minutes (depending on your teeth) and it is completely painless. You're brought into a calm and clean room for the treatment, you sit down on the sofa and the small (and not-so scary) Megawhite machine is wheeled over and adjusted for your height. You dry your teeth off with a tissue prior to the treatment, which is the most uncomfortable bit of all - it feels gross! Then, you bite into two retainers filled with a toothpaste-like mint-flavoured jelly and you bite down and make sure all of the gel covers your teeth. The machine is then set at your set amount of time, the laser is placed just in front of your face aiming at your teeth and it's all systems go! There's 0 pain; just a small amount of heat but nothing crazy. 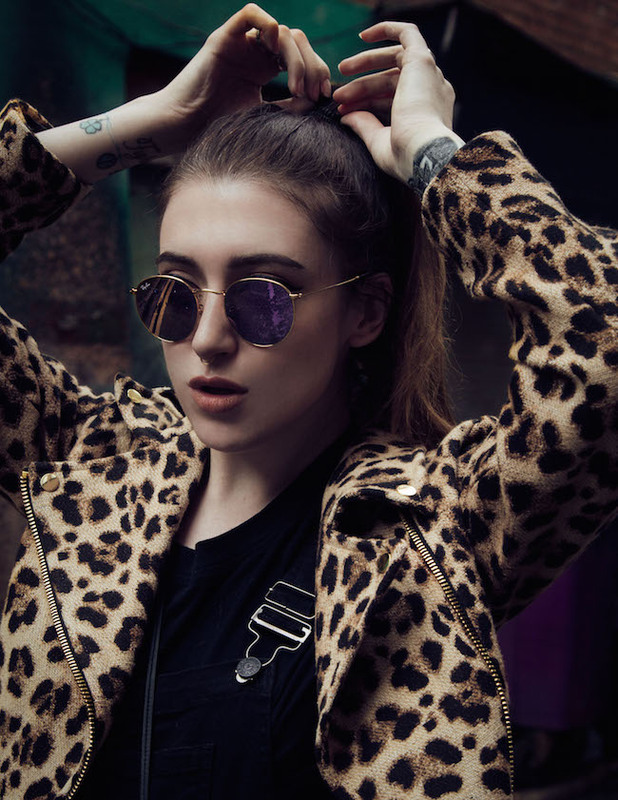 You wear protective goggles throughout and all you have to do is sit back and relax whilst the treatment works. After the 20 minutes were up for me, I was brought out into reception and given a checklist on what not to do; you can't have dark drinks or food for the next 24 hours after the treatment as it continues to work throughout the day, you can't drink water for 30 minutes afterwards (so have a bottle before the session) and that's it - instantly I saw a difference but I was told to wait until the next day to see the full results. My teeth were initially a No.20 on the teeth colouring scale - not too yellow but not white. The session brought them down to a No.10 - a surprisingly great difference! 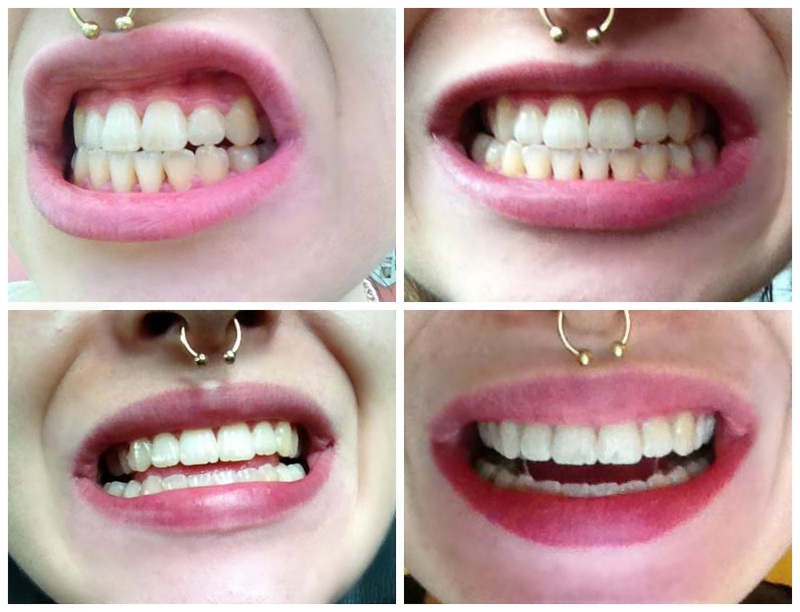 The top row of the photos above are of my teeth prior to the Meganwhite treatment, the bottom two are from the next day. What I like most about the treatment is that the results aren't OTT; I was apprehensive about the treatment at first not wanting fake-looking Tippex noshers. The results are totally natural however and they have given me a huge boost in smiling confidence! There was no pain or side-affects for me afterwards so I couldn't be happier. It's recommended to only get your teeth whitened at an absolute maximum of 4 times a year so hopefully the results last me a couple of months. 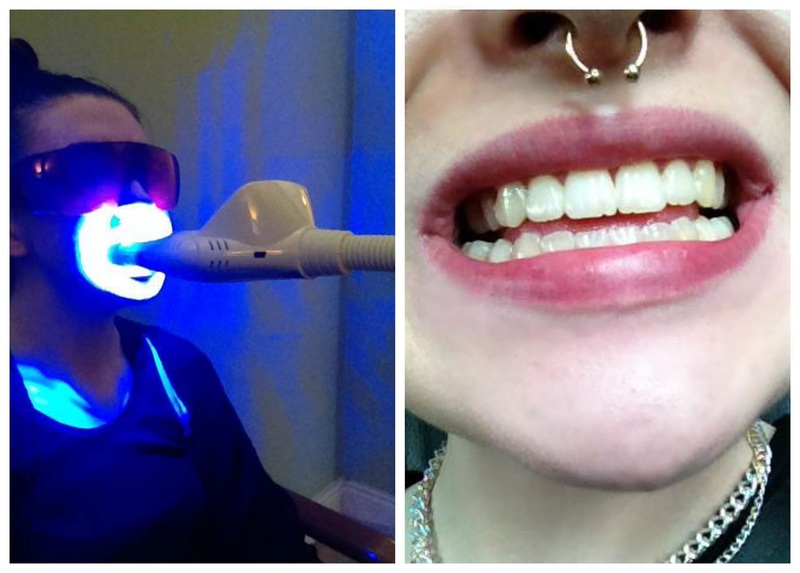 If you're looking to get your smile revamped or if you have a big event coming up, spend the €89 on pearly-whites - the staff at Zenergy are beyond lovely and helpful, the clinch is extremely clean and welcoming - plus, it's easy to find! I'll definitely be heading back again soon. Have you ever gotten your teeth whitened? What did you think/ expect?